Would a woman say ‘no’ to sweet, carefully picked words for her birthday? That’s highly unlikely; any human being would appreciate signs of love and affection for someone they care about, so why would somebody’s special lady be an exception? 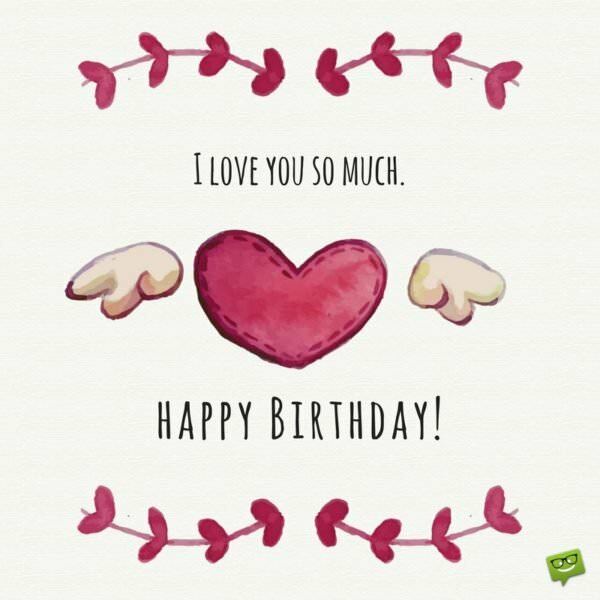 If your girlfriend’s birthday is coming up -or it is today!- we might help you with some romantic quotes that can be the inspiration for a great birthday wish. Whether you decide to be funny or take the sweet road to her heart, whether you’ve just started dating or it’s a relationship that has already lasted for years, you’re going to find something just for you – as if it were a tailor-made wish! Here is a list of original birthday wishes we came up with, that will make her smile and put her on fire! 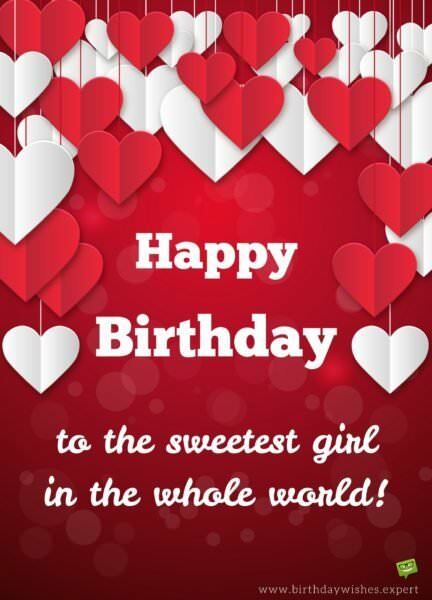 Find here all the ideas you need to wish happy birthday to your girlfriend. Happy birthday, beautiful! Thank you for being such a fun and cool girlfriend! Happy birthday to my sweet and perfect girlfriend. I wish you all the blessings available in your next year! Your birthday is the day I like to celebrate best. It reminds me of how blessed all of our friends and I are to know you. You add a shine to each day. Happy birthday, honey! Happy birthday to the girl who makes me smile every day! Happy birthday to the most perfect girl in school! I like you just the way you are, girl. Happy birthday! Super fun is just one way to describe my wonderful girlfriend. You are amazing. Happy birthday! Thank you for being such an awesome girlfriend. I am glad to be able to wish you a happy birthday today! Here’s to our senior year of high school. May you and I enjoy memorable times now and into college. Happy birthday! You are my first girlfriend and hopefully my only. I want to be with you forever. Happy birthday! All I want is to celebrate with you. Happy birthday to the best girlfriend around! Birthdays are always to be celebrated. I am looking forward to a great celebration with all of our friends tonight. Happy birthday! Happy birthday to my one and only soulmate. You have completed the puzzle that is my life. I love you! You are smart, artistic, and athletic. Best of all, though, you are my girlfriend. Happy birthday! Roses are red. Violets are blue. My life would not be the same without you. Happy birthday! Roses are red. Violets are blue. May this be the best birthday for you. Happy birthday to one smart and sassy girlfriend! I can hardly believe we’ve been dating so long. You are a fantastic addition to my life. Happy birthday! I can barely recall the time before you entered my life. You are an amazing person, friend, and girlfriend. I couldn’t have wished for any better. Happy birthday! School days are so much better now that I share them with you by my side. Happy birthday to my best friend and girlfriend! From the moment I saw you in the school hall, I knew you were special. You have always been kind, compassionate, and beautiful all rolled into one. I am proud to have you as my girlfriend. Happy birthday! You are so nice and sweet to me. Thank you for being you. Happy birthday! When it comes to Birthdays, yours is my favorite! Happy Birthday! Happy Birthday! I can’t think of a girl that is even half as amazing as you are. You’re special every day, but even more today; it’s your birthday, so I give you my heart. Happy Birthday! Happy Birthday to the most special girl in the world! Happy Birthday! You mean the world to me! It must be my birthday every day because you gift me with your presence every day. Thank you for being the greatest gift anyone has ever given me. Happy birthday! Another year older also means another year with you! Happy Birthday, beautiful! Happy Birthday, sunshine! I hope you have the best Birthday ever. The day you were born, God made a gift to the world. Happy birthday! Hey goofy girl! I hope you have the best birthday that you’ve ever had. For your Birthday, I wanted to give you something special, so I figured the best thing to do would be to give you the crown you deserve. Another candle on the cake, just goes to show that you keep lighting up my world more and more each year. 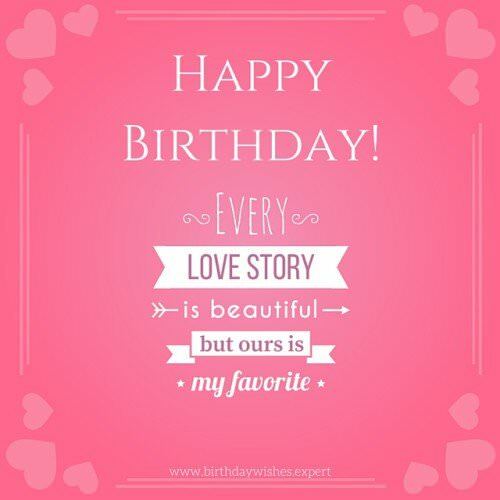 Baby, I hope you have the best birthday ever! Special cake, special presents and most importantly, a very special girl. 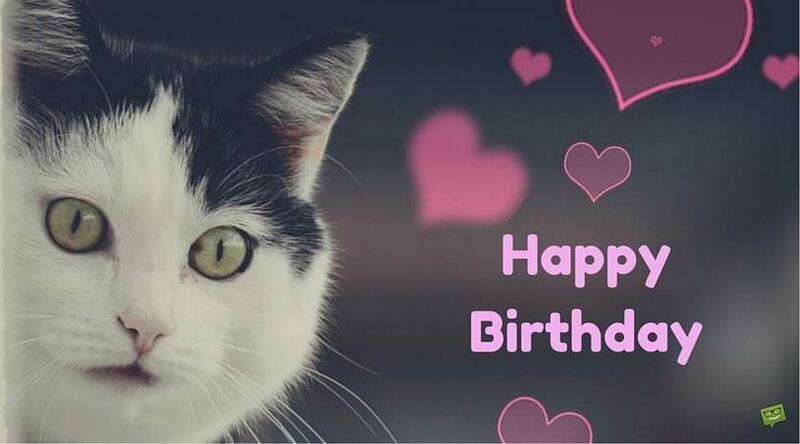 Have a very special Birthday! Happy Birthday my super girl. I don’t know what I’d do without you. Happy Birthday, silly girl! I wish you a life as sweet as your cake! When you smile, the world smiles. Happy Birthday to my number one! Happy Birthday to the most breathtakingly, beautiful girl! You mean the world to me and back again! Your birthday comes around once a year, but you bless me with your presence every day. Happy Birthday! Happy Birthday to the girl who can turn my rainy days to glorious sunshine. Happy Birthday to the girl who gave me the world. 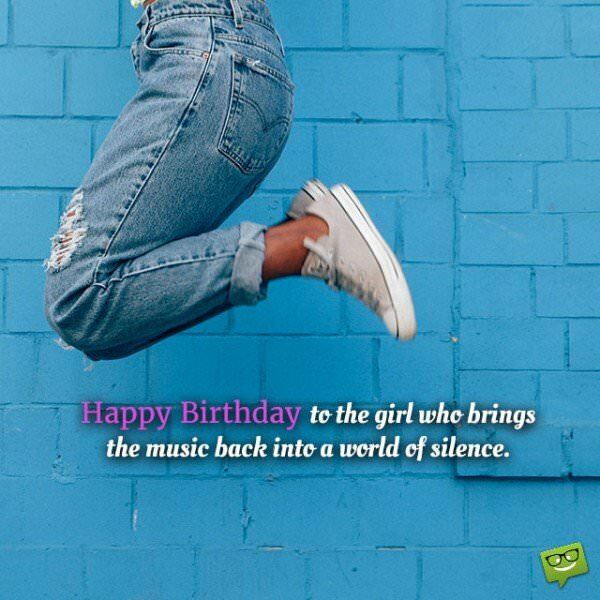 Happy Birthday to the girl who brings the music back into a world of silence. Happy Birthday beautiful! Watching you getting older, near me, I must be the luckiest man of all time. The amazing scale only goes up to 10, but somehow you’re a 20. Happy Birthday! Happy Birthday to God’s greatest masterpiece! Happy Birthday to the light of my world. Happy Birthday to the girl who lit up my world and never let it go dim. Happy Birthday to the sweetest girl in the world! For the girl who gave me the best gift ever: her heart; Happy Birthday. What I have in you is what every person is searching for… Happy Birthday, Sweetheart. True love is the gift we all possess and you are my true love. Happy Birthday, Darling. With the warmth of your love, you have touched me deep inside. Happy Birthday! Sweetheart, you are so special to me and I wish you happy Birthday. 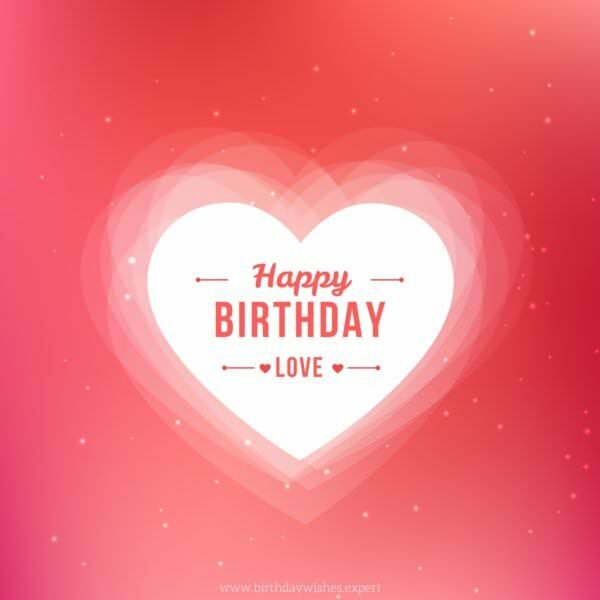 Sending you warm birthday wishes with all my hugs kisses and love on this special day. You have brought an everlasting sweetness into my life darling. Happy Birthday! Here’s wishing your special day brings you all that you wished for. I love you. Like fresh dew drops on a new day, may God’s loving hands be upon you today to freshen your soul and body. Hello my precious sweetheart. 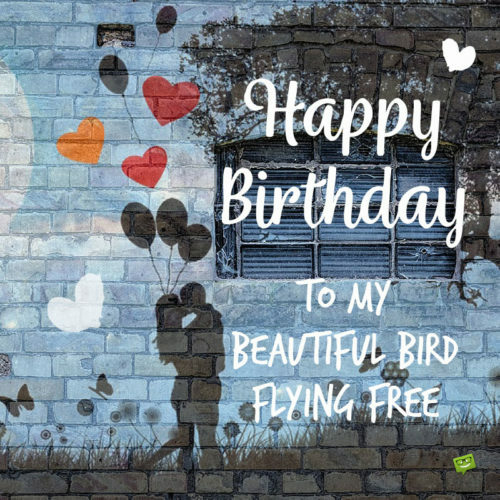 This message is just to say I hope your birthday filled with love and perfect in every way. No birthday gift will be enough to make up for the gift you gave me,the gift of your love. Happy Birthday to amazing little you! This message is to someone with a beautiful heart. Happy Birthday, my darling. You are so special and give me the reason the live on. Happy Birthday, sweetie! I want to thank God for giving me a chance to meet someone like you. Wish you a Happy Birthday darling. To the most humble, prettiest, kindest and sweetest person I’ve ever known. Cheers to your birthday! I wish to be a good boyfriend, Giving you all the love that you need, care for you, inspire you. Those are the things I want to do for you. Happy Birthday Sweetie! Before I met you, I never paid attention to this date. Now, I never forget it. Happy Birthday! There are only two dates on my calendar-the day we met and your birthday! I hope this is your best one yet. Who knew?! The day you were born, is the day my life really began! Have a happy birthday! I know it’s your birthday, but the gift is mine! Knowing you, a gift given to me every day! Happy birthday! Your presence in my life is the greatest gift I have ever received. I love you. Happy birthday! The day you were born, the day that we met-those are two dates I never forget! Some things are worth remembering. Your birthday tops my list. Happy Birthday! Let’s get together and celebrate your special day. Happy Birthday! This day is your day. I love this day because I love you. Happy Birthday! Since you have been in my life, my days have been amazing. I am glad that you were born-Happy Birthday. Here are some of my favorite things. Favorite day: the day that we met; favorite person: you; favorite activity: spending time with you, especially on your birthday. Happy Birthday! May your birthday be as special as you are, if that is possible! Happy Birthday! What a special day. Let’s celebrate! I hope that you know how valuable you are. You brighten the lives of people that surround you. Shine on, birthday girl! Laugh, dance, sing! it’s your birthday… Oh, wait… you already do that all the time. That’s what I love about you, sugah! Happy birthday to my special girl! I appreciate you and am so glad that you are in my life. I hope that your day is as wonderful as you are. I love you so much. Happy Birthday! Happy Birthday to you! I love you. 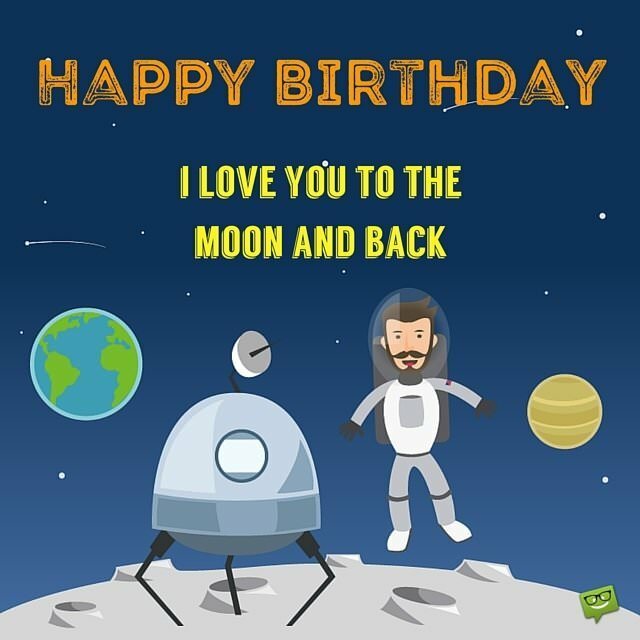 When your girlfriend’s birthday is coming, you need to get prepared with birthday wishes in order be the first to wish her on the birthday. You need to be creative in composing the birthday message because your girlfriend is your life. If you send a romantic birthday message to your girlfriend, you will get the opportunity to impress her and make her think that you love her more than anyone else. Birthday love wishes that impress her will remain in her mind for ever. You will be the perfect boyfriend. If you can’t find any inspiration how to make the perfect wish, then this collection is for you. Happy Birthday!